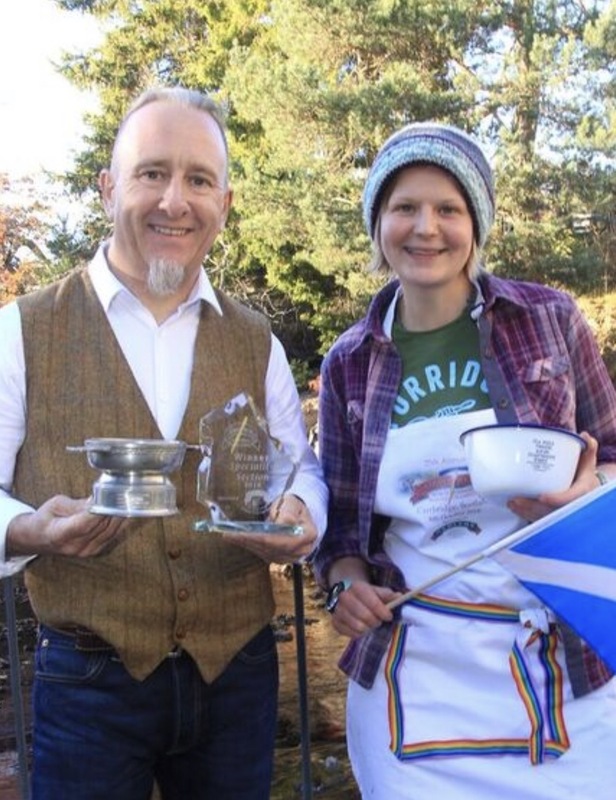 We had a fabulous weekend at the 25th Annual World Porridge Making Championships in Carrbridge. 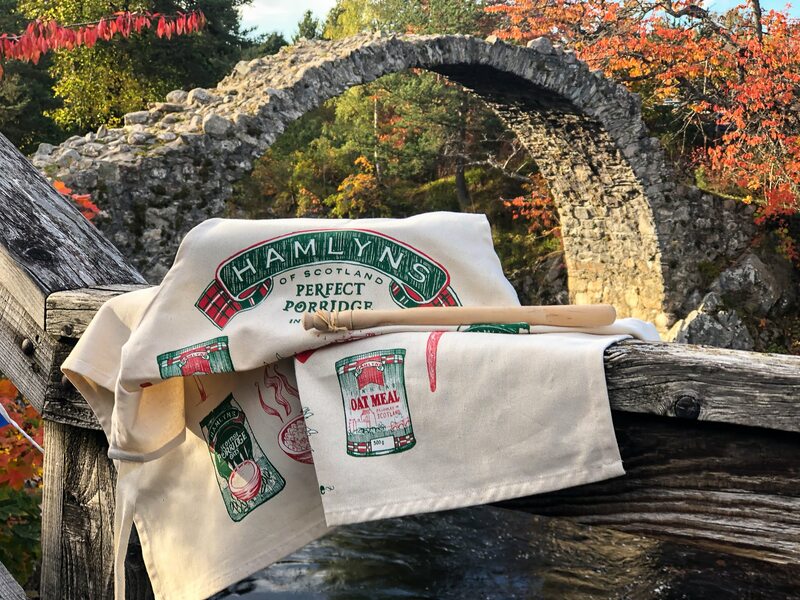 Hamlyns has been involved in the competition since the very beginning, and we’re proud to still be the main sponsor 25 years on. 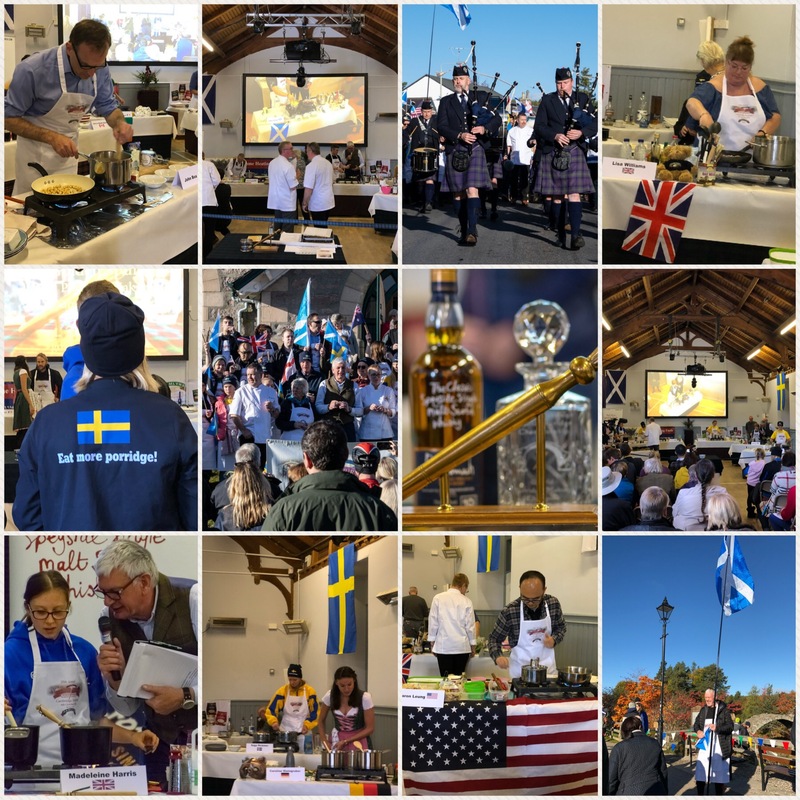 This year’s event drew competitors and their supporters from 11 countries, including Finland, Sweden, Canada, Germany, USA, Estonia, Ireland, Russia, Australia and from across the UK. 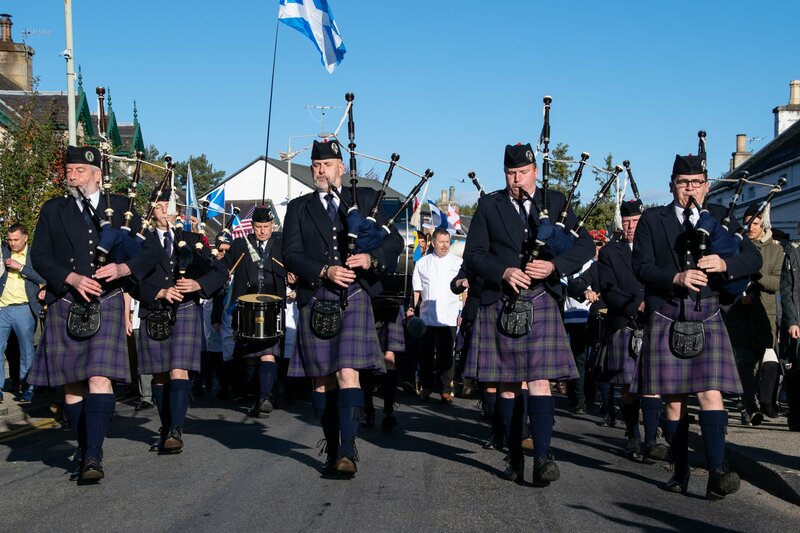 Saturday’s 25th anniversary celebrations began with the judges, competitors and supporters marching from the old packhorse bridge (which indecently is the oldest stone bridge in the Highlands, dating back to 1717) through the village, behind the Carrbridge pipe band. The event also included a food fair, whisky tastings and cookery demonstrations. The organisers had also created a lovely new recipe book, Spurtle Specialities, featuring many of the speciality recipes from the last 25 years. 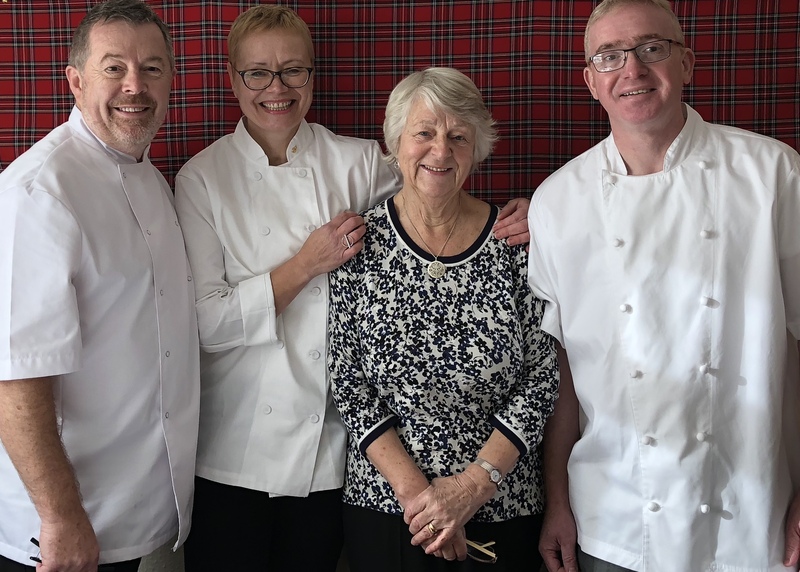 This year’s judges were (left to right) Colin Bussey, former head chef at Gleneagles; Lydie Bocquillon, classically taught French chef and owner of the Auld Alliance in Kingussie; Anne Hilditch, wife of Duncan Hilditch, one of the original founders of the competition, and Neil Mugg, chef lecturer at Perth College UHI and former Head Pastry Chef at Glengeagles. MFR radio presenter, Richard Jones, was excellent as MC . The coveted title of World Porridge Making Champion is awarded to the contestant deemed to have made the best traditional porridge using just three ingredients – oatmeal, water and salt. 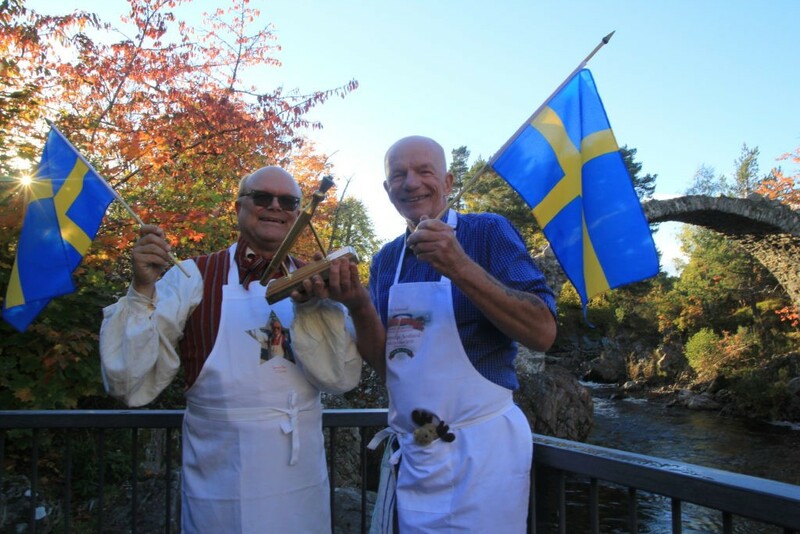 For the first time in its 25 year history, the judges awarded the coveted Golden Spurtle trophy to two competitors, Calle Myrsell and Per Carlsson, both from Sweden. Per won the speciality porridge title last year, and Calle was entering for the first time. As well as the traditional porridge competition, there is also a speciality category for oatmeal combined with any other ingredients, leading to a wide variety of sweet and savoury entries. We were delighted that Chris Young, owner of Perthshire Oatcakes was crowned speciality winner. We have supplied Chris with the oats for his fabulous oatcakes for many years, as well as the oatmeal for his porridge! Chris won with his sensational oat inspired tapas board, featuring eight individual elements, all prepared in the allotted half hour – while cooking his porridge for the main competition at the same time! Chris’s amazing tapas board included mussels stuffed with skirlie, Mexican green rice (made with pinhead oats) and steak with an oat gremolata. The winner of the first ever junior heat, created for Scotland’s Year of Young People, pictured here with Chris, was 26 year old, Lynn Munro whose beautifully-presented speciality “Foraged porridge” featured honey, hazelnuts, blueberries, brambles, oatmeal, water, wood sorrel, plums, apples, quince, rosehip and hawthorn, some of which was foraged in Carrbridge on the morning of the competition. Full details of the event are available at www.goldenspurtle.com.